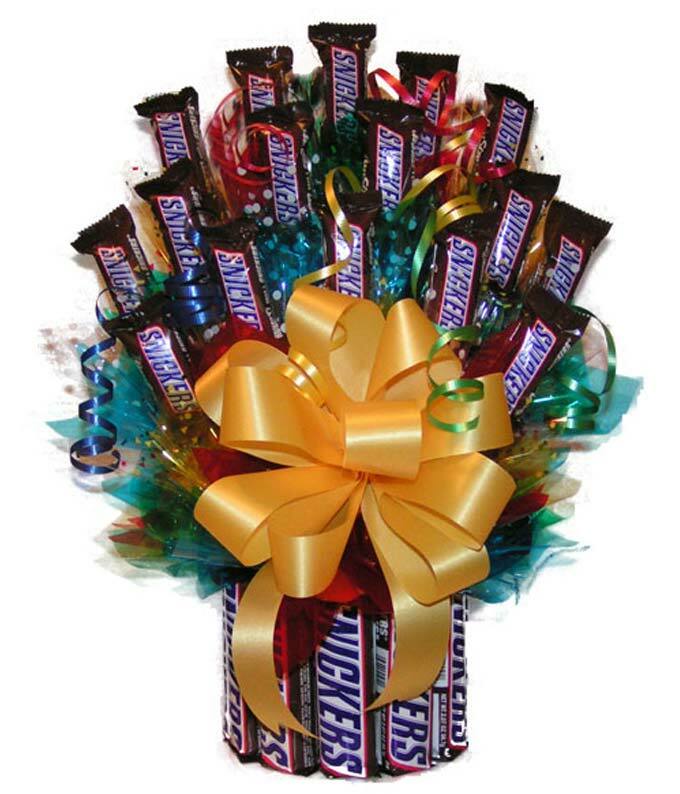 This delicious candy bouquet is arranged with all Snickers candy bars. A circle of Snickers creates a candy vase, filling the vase are more Snickers! The candy bouquet is completed with a colorful ribbon.